By Former Korean Air’s executive vice president Cho Hyun-ah, An incident referred to as “nut rage” is affecting the reputation of Korean Air and the chairman, her father. And The problem of Leadership positions and family businesses succession has become a social issue. An incident referred to as “nut rage” is an example of what can happen when a member of the founding family of a conglomerate becomes involved in business. Former Korean Air vice-president Cho Hyun-ah, 40, has been making headlines since she ordered the pilot of a Korean Air plane, already on the runway, to return to the gate to let off the cabin crew chief at New York’s JFK Airport on Dec. 5. We should press on to know our Elohim God to be heir of God and to receive the eternal blessings of God through the Bible. We should practice the teachings of God as the heir of kingdom of heaven for the glory of God. 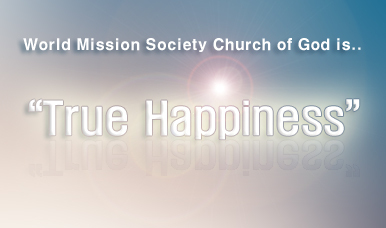 The World Mission Society Church of God keeps the feasts of God and practice the teaching of God according to the Bible. Moreover, The Church of God makes great efforts to protect environment and to practice loving neighbors by diligently helping society in need everywhere. Something about the carbon that I learned in science class in middle school rushed upon my mind. We couldn’t find any answers to teachers’ question though I and other guys had a hard think. I guess the main reason was that both coal and diamond do not seem to have anything in common at all. Then, the teacher continued to go on. This came as a surprise to me since it seemed unbelievable that both black coal and transparent diamond were made in same carbon. Composed by same carbon, coal and diamond produce different substances depending on the bond structure of carbon. While coal is not arranged orderly in carbon, diamond has regular tetrahedron formed by 4 carbon atoms, which is continually combined in three directions of width, length, and height. This is the key that highly differentiate those two elements. In the same way, we, in the truth seem to look like carbon. We could become spiritual diamonds by uniting each other, having essential glue of ‘Mother’ and “Love’. However, if we take our own way without having God in our mind, then the result should be totally opposite. As the teachings in the Bible, I wish all become ‘spiritual diamonds’ shining brightly on hands and the neck of the bride, loving and caring brothers and sisters with all heart and mind. Share the post "Outrage over ‘nut rage’ – WMSCOG follows the teachings of God the Mother"
Though she has everything but had to quit from all her positions and now the pre -trial arrest warrant is sought for her due to violating the aviation safety law. Give thanks to our Elohim God who allows us to become a ‘spiritual diamonds’ by practicing the teachings of God the Mother with all our heart. this article is so gracious I’ve ever heard! I’ve ever read the bible that God’s people are the accessories of the bride(heavenly jerusalem mother) dress, . I feel that I should try to unite with love. Thanks to heavenly parents for giving me a realization!! Heavenly mother’s love makes us like a diamond. let’s be the heir of God by practicing the teaching of Mother.